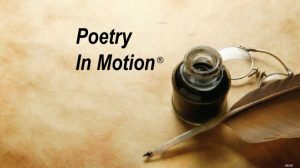 The winners of the 2013 Poetry in Motion Contest sponsored by Metro Arts in Transit, the Poetry Society of America, and the Regional Arts Commission (RAC) will be honored this Thursday. The Poetry in Motion® Reading and Reception will be held at The Studio of the RAC located at 6128 Delmar Boulevard in University City. Doors open at 5 p.m. with acoustical guitar music by Haitian-American Mario Pascal and the program begins at 5:30 p.m. The event is free and open to the public. Click here for more information on this year’s Poetry In Motion contest.